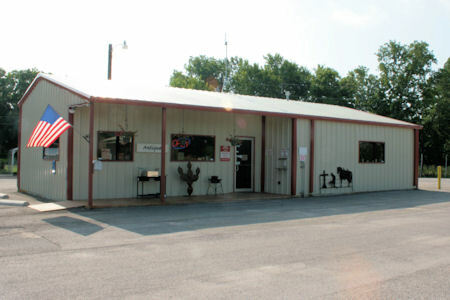 I wanted to spend Memorial Weekend in Lampasas, Texas a place I had not been in years. 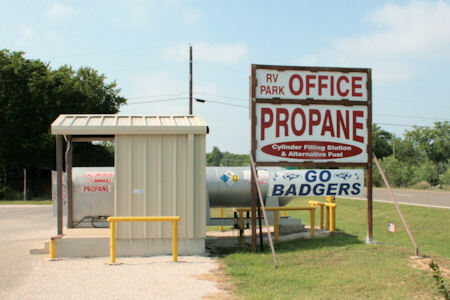 I did an Internet search and found Boone RV Park. I had never been there but because they were right across from the one hundred year old Hancock Spring fed swimming pool I decide this is where we would stay. 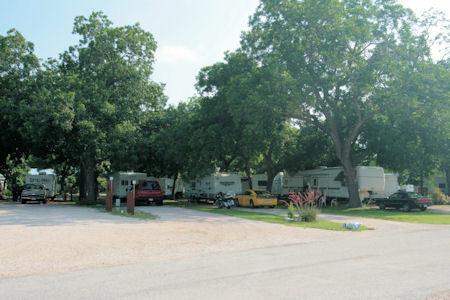 Most of the campsites are shaded by large pecan and oak trees. Each site has cable TV hook up and there is a very good Wi-Fi system. This was all included in the camping fee. But one of my favorite services that they provide was the trash pick. I just set my trash bag in front of my campsite in the morning and they picked up and they took care of it. I'll let Clara tell you the rest. Upon arriving at Boone's, I was struck by the friendliness of the host and hostess at the office. The lady had the sweetest smile. She acted like she was so glad to see us and had been waiting for us like we were family. "Yes, you're here three nights." "No problem. I also found out a little about some of the Witchers since that was your family name. I got this out of a book for you. If you like I can help you get in touch with some of them, since I know them." "Thank you, that is lovely." I said. I'm thinking Bob must have given her his whole life story when he made the reservations. She told us about historical places we would not want to miss. She recommended the best places to eat Bar-B-Q and Mexican Food. She said El Milagro Mexican Restaurant used to be downtown and just last year moved right across the street. Same owners, same cheese enchiladas, been in business since the 80's so it is like you expect it to taste. They have nice tall pecan and oak trees. They escorted us to our site which can be very helpful when you are in a new place. 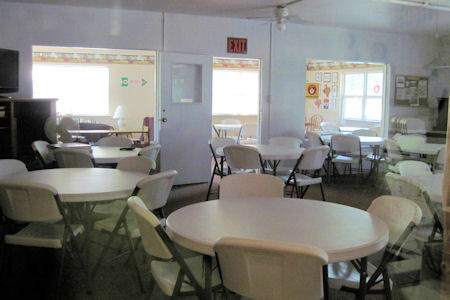 Clean restroom/showers, Laundry and a nice large recreational room. Best of all it is close to all the old haunts Bob wanted to revisit. It is sometimes a great comfort to go down memory lane. I don't think I have ever been greeted by a more gracious and welcoming hostess. She made me feel like she was glad I was here. She made me feel like I had come to a good place.